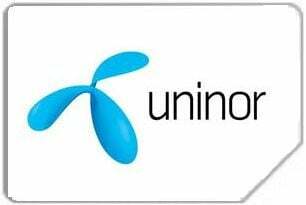 Uninor customers in Bihar and Jharkhand can now avail free STD minutes from Uninor to any network across the country with two new offers STV 21 and STV 41. STV 21 offers 50 free STD minutes and STV 41 offers 100 free STD minutes respectively. Now Uninor subscribers can talk freely and be in touch with their friends, relatives across the country without worrying about the costs. STV 21 comes with a validity of 15 days and offers Uninor customers 50 STD minutes free, while on recharge of STV 41, customers can avail 100 STD minutes free with a validity of 30 days. These free STD minutes are valid on calls made from Uninor to any other telecom network across the country. One of the unique features of this product is the ‘Carry Forward’ option wherein a Uninor customer can opt to carry forward their unused free STD minutes on their next recharge with STV 21 or STV 41 within the validity period. For example – If a customer has recharged with STV 21 on 1st of Apr’11, he received 50 STD minutes with validity till 15th April’11. If the customer recharges again with 21 or 41 on or before 15th of Apr’11 then all unused minutes will be carry forwarded, else the same will be forfeited. Uninor customers can avail of these STD recharge vouchers by walking into any of the 101 fully functional Uninor brand Stores and over 30,000 Retail outlets spread across Bihar and Jharkhand.